American weekly newspaper; established at Pittsburg, Pa., Feb; 8, 1895, by S. Steinfirst and Joseph Mayer. Rabbi Samuel Greenfield was its first editor. In 1899 Charles H. Joseph succeeded him, and in 1900 became owner of the paper. In 1901 J. Leonard Levy was appointed editor-in-chief, Charles H. Joseph assuming the position of associate editor. 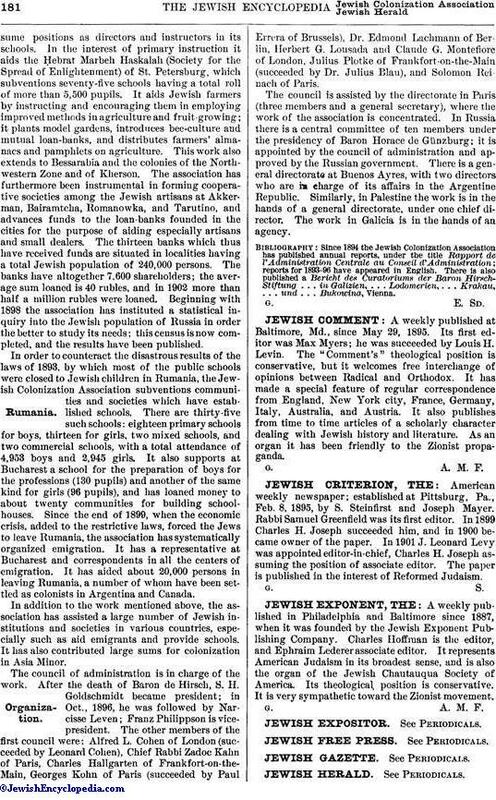 The paper is published in the interest of Reformed Judaism.